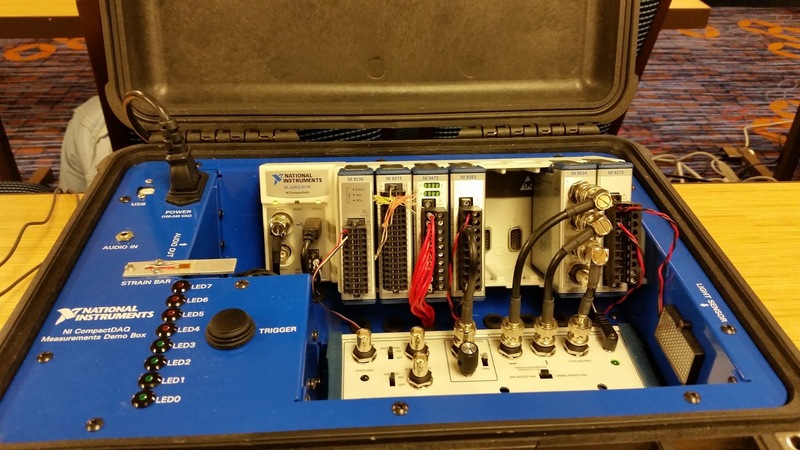 National Instruments (NI) is a familiar name in many engineering fields. 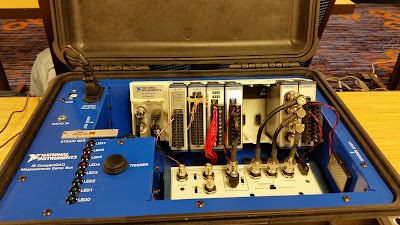 I first became aware of this company during my undergraduate engineering studies at Oregon State University where we used their LabVIEW software and data acquisition hardware to collect and analyze engineering data in several instrumentation and laboratory courses. This was the beginning of a long term relationship as I would continue to use their software and hardware to instrument both my experimental Master's and Doctorate theses as well as other automation and data collection task in my current industry engineering position. 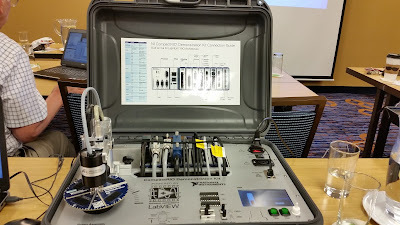 I recently attended a one day free (yes, free) NI hands-on seminar using their CompactDAQ and CompactRIO hardware and I must say I was pretty happy with this time investment. The CompactDAQ section was very familiar as I have done a fair amount of this in the past. However, the CompactRIO was new and exciting. I enjoyed learning about the benefits of a Real Time operating system and programing FPGAs. 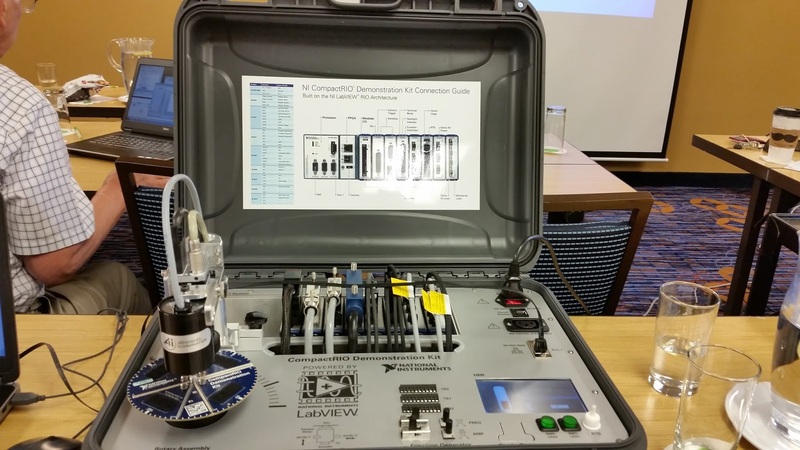 I strongly encourage anyone interested in learning more about CompactDAQ and CompactRIO to take advantage of these opportunities. Get your hands "dirty" with NI software and hardware and you will get a feel for how it can help you work smarter and more efficiently.